San Diego, CA – March 23, 2015 - Huntington Capital (“Huntington”), a leading provider of growth capital to lower-middle market companies, has announced the final closing of its third fund, Huntington Capital Fund III, L.P. (“Fund III”). With $91.7 million of total capital commitments, Fund III exceeds the prior fund raise of $78 million for Fund II and includes new and existing investors from state and pension systems, regional and money center banks, foundations, and family offices. Huntington is a leader in the emerging area of debt and equity “impact” funds that both earn favorable returns and help companies produce a positive social impact. To date 80% of Fund III’s capital committed supports various companies’ efforts to increase the number and quality of jobs for low and moderate income individuals. “Investors interest in Fund III demonstrates that it’s not enough to simply invest capital, it’s important to provide capital that results in sustainable financial performance and enhances the skills and quality of life of the workforce,” noted Morgan Miller, Huntington’s Managing Partner. 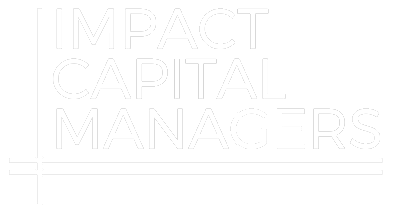 “Since the founding of our first fund in 2000, an SBIC, we have been investing in companies which positively impact communities in the Western United States with much-needed, flexibly-structured growth capital.” In 2014, Huntington was selected for the ImpactAssets 50 and featured in the book, The Impact Investor: Lessons in Leadership and Strategy for Collaborative Capitalism. Huntington is known for its expertise in deal origination, deal structuring and assisting companies in various other areas that help its portfolio companies achieve their goals. It is a partner of choice for companies and private equity firms seeking mezzanine capital for growth, acquisitions, and other strategic initiatives. Based in San Diego, CA, Huntington Capital is a leading provider of mezzanine debt and equity for underserved, lower middle market companies throughout California and the Western United States. Founded in 2000, Huntington is currently making new investments out of its third fund, Huntington Capital Fund III, L.P. Huntington seeks to invest in established lower middle market businesses generating between $10 million and $75 million in revenues across a broad range of industries. Investments typically are structured in the form of growth capital, buyout, or acquisition financing ranging between $2.0 million and $9.0 million. The firm has invested in approximately 50 companies since it was founded and proactively works with its portfolio companies to achieve favorable financial outcomes and measurable impact value creation. Partners Morgan Miller, Tim Bubnack and Frank Mora lead Huntington’s management team. For more information, please visit the company website at www.hcapllc.com.